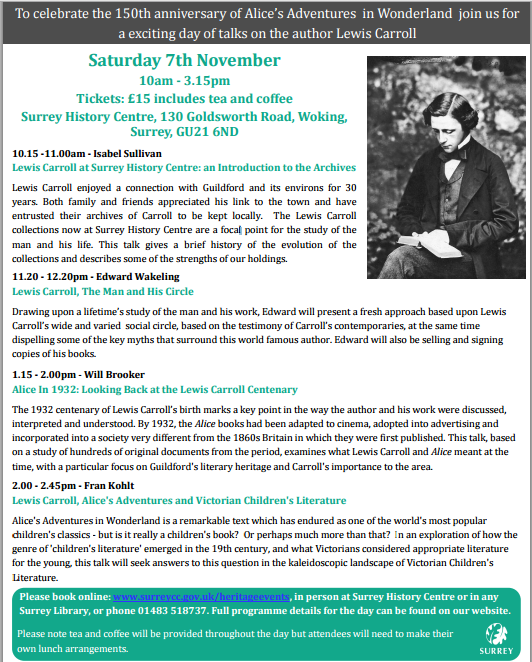 I will be giving a pair of talks on Alice’s Adventures in Wonderland and it’s place in Victorian Children’s Literature and Illustration this November, one at Christ Church’s Wonderday and the other at a Lewis Carroll Study Day at the Surrey History Centre. Christ Church’s Wonderday will give attendees the unique opportunity to hear Carroll experts like Edward Wakeling, Kiera Vaclavic and Melanie Keene speak about both Carroll’s connection with Christ Church as well as the most recent interdisciplinary research into the subject – and moreover, visitors can explore the stunning surroundings of Christ Church, and the place where it all began (Alice’s Nursery, the Deanery Garden, the (mock) turtle shells in the kitchen, or the long-necked ladies in Christ Church dining hall) in exclusive guided tours. 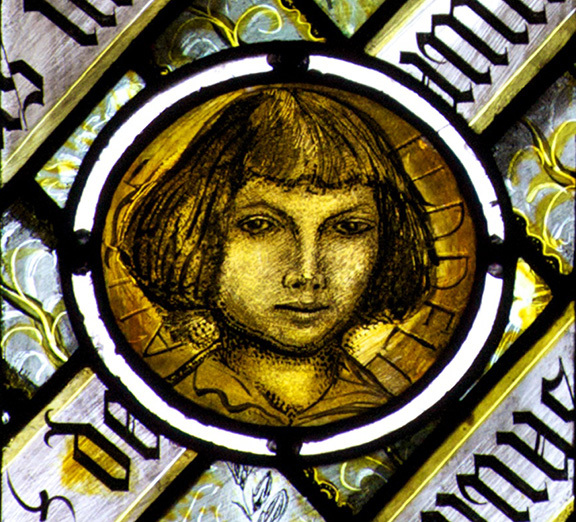 At Woking’s Study Day insight will be provided into rarely seen documents from the Dodgson family archives by Will Brooker, other aspects of the collections will be illuminated by Edward Wakeling and myself. Both events require pre-booking and should be real highlights in this anniversary year!